No matter what life event, situation, or feeling being experienced, you are likely able to find a quote that was once said by someone famous, that sums up your experience entirely. It’s pretty neat! Whenever you find that one quote that moves you when you are feeling a certain way, it’s almost comforting to know that someone else somewhere has had that very feeling and was able to put it into words in such a way that it helpful to you in the moment. When it comes to babies, there is a lot to be said! Quite literally, babies have a lot to say but just cannot get it out. 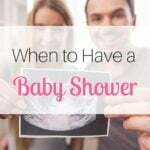 When it comes to baby shower quotes about babies, that’s a whole different ballgame. Babies bring a whole different kind of experience and perspective into this world, so it’s no wonder why these amazing quotes were recorded to be shared for years to come! Whether you’re looking for that perfect quote to say in a speech at the baby shower, or simply looking for one to write in a card, there’s bound to be one here that gets across the exact message you’d like to pass along. “Always kiss your children goodnight, even if they’re already asleep.” -H. Jackson Brown Jr. 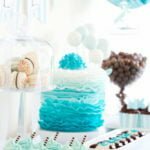 These are just a few of the great baby shower quotes amongst the sea of quotes out there! If anyone has a baby or knows a baby, they likely have a lot to say about them, a lot of stories both pleasant and unpleasant. It’s best to stick with the more pleasant quotes and stories so as to not make the mom-to-be scared or uncomfortable. 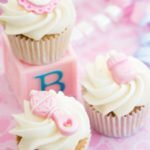 Find something encouraging and happy, it’s for a baby shower which should be a fun and unforgettable experience, especially for the mama-to-be!